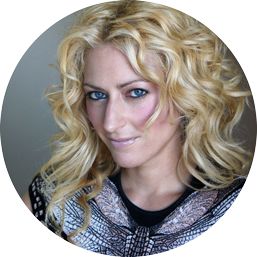 The Wednesday Keynote Address will be delivered by Dr. Jane McGonigal, world-renowned game designer, inventor of SuperBetter, and author. Gamers are showing us the way to the future of online learning. Are you ready to play? In this keynote from acclaimed game designer and futurist Jane McGonigal, you’ll take a trip ten years into the future to see how new ways of collaborating, questing, and scoring (all directly inspired by today’s most popular videogames, from Fortnite to Pokemon Go) have transformed online learning. Immerse yourself in a future world where anyone, anywhere can be both teacher and learner – exchanging learning credits as easily as people are trading Bitcoin or collecting Pokemon today. When you approach the future of learning with the mindset of a gamer, who knows what doors you’ll unlock, what super powers you’ll gain, or what level you’ll break through to? This playful session will help you imagine alternate realities that you’ve never considered before. Jane McGonigal is a world-renowned creator of games designed to solve real problems and improve players’ real lives. Jane currently serves as the Director of Game Research & Development for the Institute for the Future in Palo Alto, California, and has previously created games for organizations such as the New York Public Library, the World Bank’s learning group, the American Heart Association, and the International Olympics Committee. Her best-known game SuperBetter has helped more than half a million players tackle health challenges like depression, anxiety and traumatic brain injury. She is the author of two New York Times bestsellers: Reality is Broken: Why Games Make Us Betterand How They Can Change the World and SuperBetter: The Power of a Gameful Mindset. Her classic TED talks have more than 13 million views. In fact, she is ranked the #16 all-time most favorited TED speaker, one ahead of Bill Gates. Oprah Winfrey called her one of the 10 most inspiring women in the world. Her chief mission in life is to see a game developer win a Nobel Prize.